Welcome to Episode 8 of the Sparking Growth Podcast! In today’s episode, I talked to Lyssy, a wonderful hand-letterer and calligrapher from Singapore. She has a great online following, but she wants to expand her local clients. We brainstormed ways that Lyssy can reach more of her local target market and grow her business! 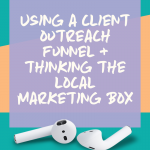 Let’s dive a little deeper into a few solutions to help you expand your local marketing and clients, though! Do you hate the term “selling yourself” as much as Lyssy and I do? It seems to be a buzzword in some circles, but it just feels icky. Rather than feeling sleazy while marketing your services, let’s talk about promoting yourself authentically! Approach your marketing efforts from a place of giving and connection. While you do need to make sales to pay the bills and all that, I’m betting that’s not the only reason you’re in business. You love what you do and you want to help your clients, right? That’s where marketing starts. You’re filling a need – in Lyssy’s case, she’s teaching people how to reach their own hand-lettering and calligraphy goals, as well as providing hand-lettering services to entrepreneurs and local businesses. When Lyssy talks to these local businesses, she doesn’t need to go in trumpeting her lettering prowess. That will speak for itself when she shows them her work! Instead, she can humbly approach the business owners and show them how her services can help them improve their client experience and grow their own business. If you approach marketing from a place of giving and connection, you’ll be able to promote yourself authentically. 2 | Client outreach funnel for introverts! If you’re an introverted entrepreneur, you’re not alone! One of the great things about working for yourself is… well, working for yourself. Your social reservoir doesn’t have to be depleted just by doing your work and that’s great. 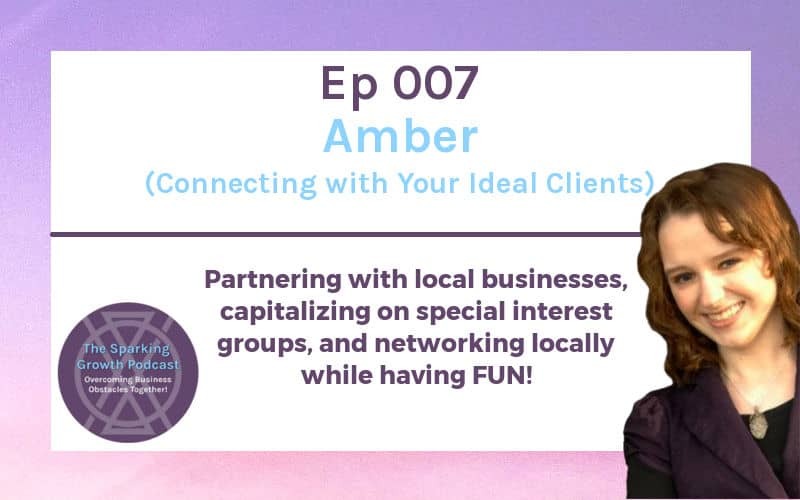 However, you do still have to find and connect with new clients to keep your business going and that can be a huge challenge for introverts. 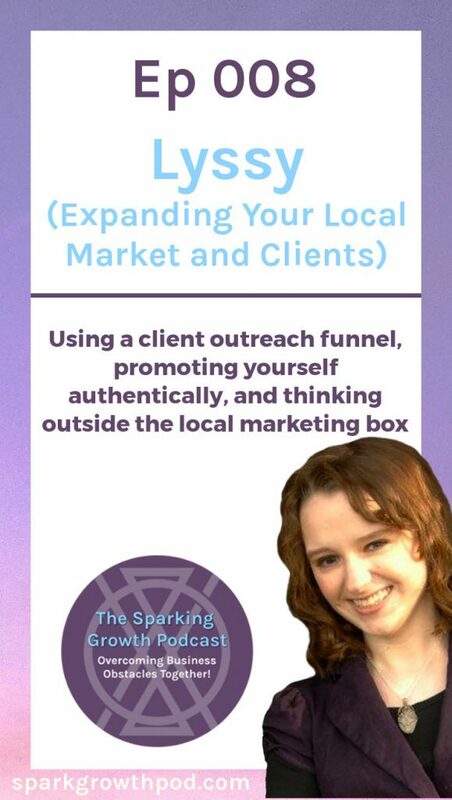 In this episode, I introduced Lyssy to my own client outreach ‘funnel.’ That’s the best term I’ve come up with for it, but it’s essentially just an organic form of outreach that makes connections easier. To get started, you can send a simple letter or postcard, introducing the business owner to your services. They may or may not read it; that’s okay either way. The point is that you sent it and maybe they at least glanced at it. A few days after you expect your note was delivered, you can follow up by phone or email. Just tell them you’re following up on the note you sent a few days ago; have they had a chance to look at it? Even if they haven’t, it still gives you a connection point to tell them a bit about your services or products and how it can benefit them. From there, you can set up a meeting with them or, if you don’t get hold of them during the follow-up phase, you can go to their business in person. It’s much harder to ignore an actual person than it is a phone call or email! You may even decide to skip the second phase if the business is somewhere you frequent. Regardless of which steps you take, sending the first point of contact gives you something to talk about right away. This eliminates the awkward tension that can arise from a cold call. Hooray! Give the client outreach ‘funnel’ a try and see how it goes. You might be surprised! Don’t stop with the ideas you come up with yourself. Ask your friends, family, and business acquaintances where your services might be helpful. Having a referral can be huge, and even if it’s just a suggestion of somewhere that your friend or family member knows of, it’s still a starting point. Asking for suggestions also keeps the wheels in your head turning. By the time we wrapped up this episode, Lyssy was excited and coming up with even more ideas for potential clients! Her sister had sparked one of those ideas and it snowballed from there. Don’t discount suggestions from those you know. They often know you best and can have fantastic ideas! Want to connect with Lyssy? Find her at LyssyCreates.com, on Instagram, and through her hand-lettering Facebook group, The Script Squad! Don’t forget to subscribe to Sparking Growth for more episodes and share your biggest takeaways from this episode in the comments.